Do you write similar sentences and expressions all the time? Do you have to write almost identical email messages on a daily basis? Then PhraseExpress is going to save you loads of time. 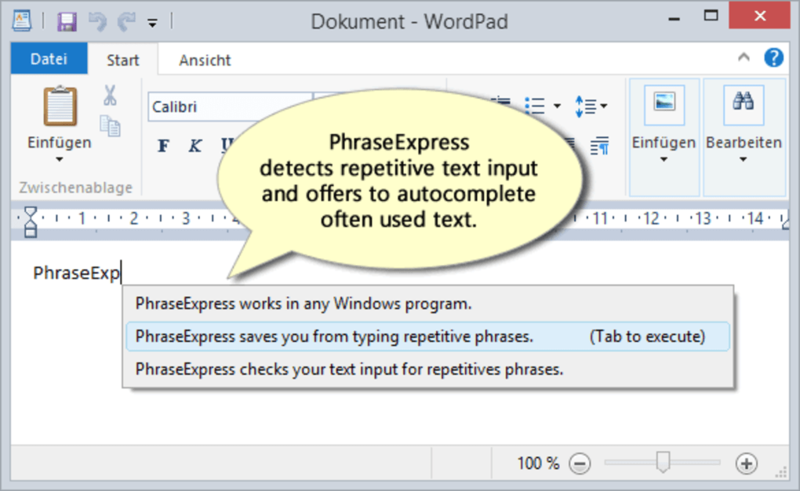 PhraseExpress lets you assign customizable keyboard shortcuts to frequently-used text snippets so that you don't have to type them over and over again. 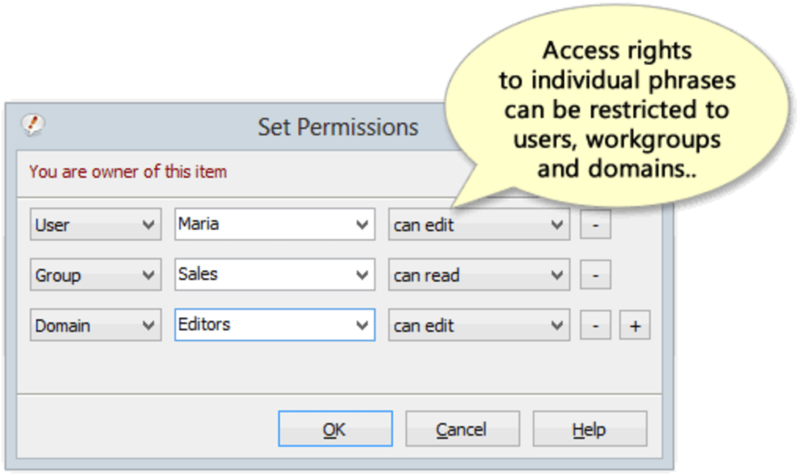 The snippets are stored in a neatly organized structure and can be used on any Windows application. 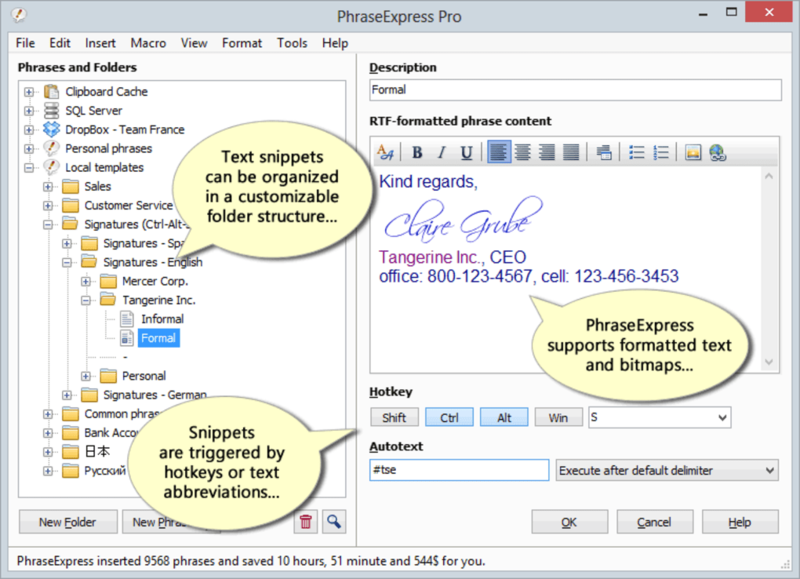 But replacing letter combinations with text fragments is not the only feature in PhraseExpress. 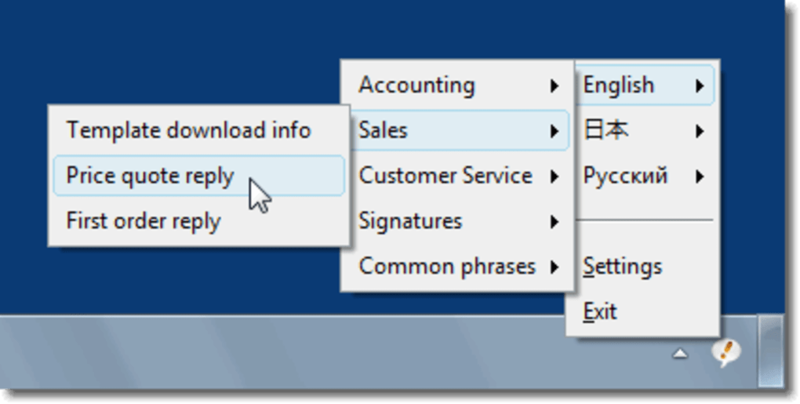 You can also set the program to complete words automatically, correct misspelled words, launch programs, extend the Clipboard's functionality and manage your email signatures, among others. 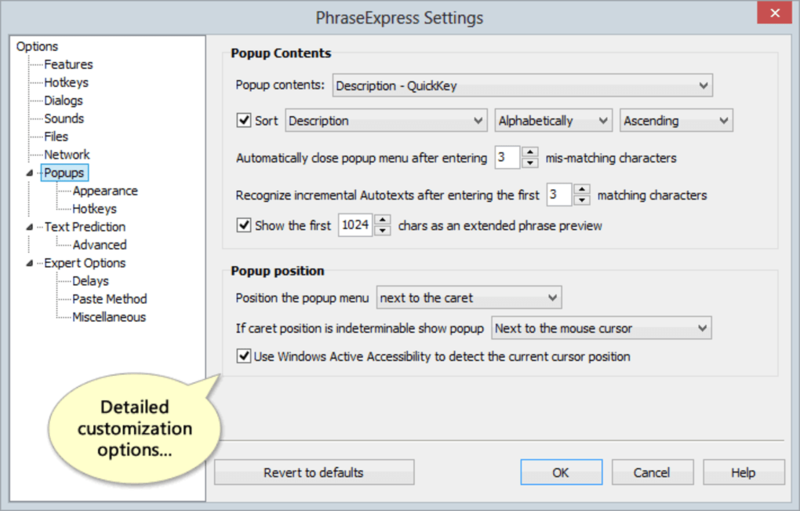 PhraseExpress includes an extended configuration menu where you can adapt it to the smallest detail, so that it suits your needs. But before using it, I'd recommend going over the tutorial the first time you launch the program: it includes a clear, concise explanation about how to use it. PhraseExpress is definitely a great tool to save time, avoid too much typing and prevent injuries like RSI syndrome. New import feature to import .CSV files that contain multi-line text. Warning dialog removed that accidentally appeared if you drag & drop phrases within the phrase tree. New import of InstantText and ShortHand glossary files. You can now select the desired Microsoft Word .dot file when importing Autotext fom Microsoft Office. Minor bugfixes and cosmetic improvements. As said, it is a no brainer. Works flawless and saves a lot of time. It is a no brainer. Easy to use, tons of options if you want them and it works as advertised.